No HTML or coding required! Our Site Builder is super simple to use. 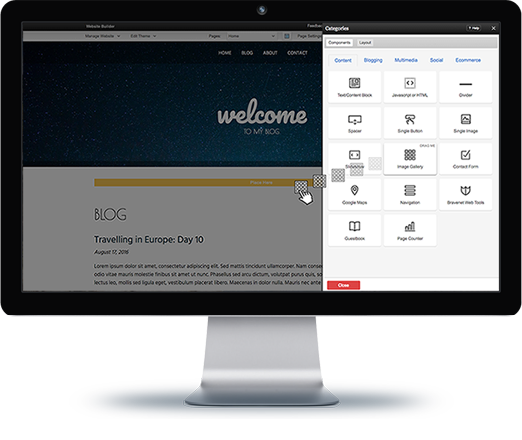 We offer 100’s of pre-built themes, components, a Drag and Drop builder and easy to use inline editing. Our Drag and Drop Website Builder makes website building a breeze. Coding is optional; not required. 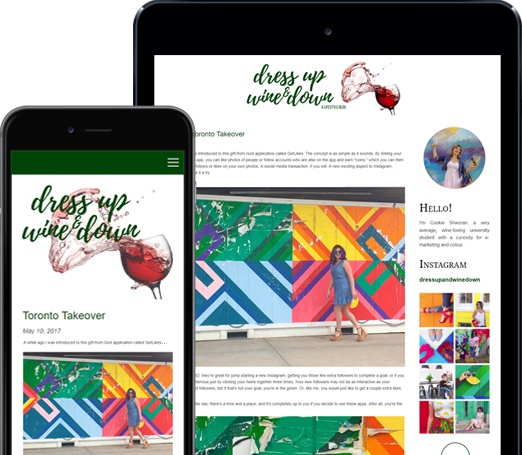 Simply start with one of our professionally designed themes, drag in a variety of components and add content as you go. 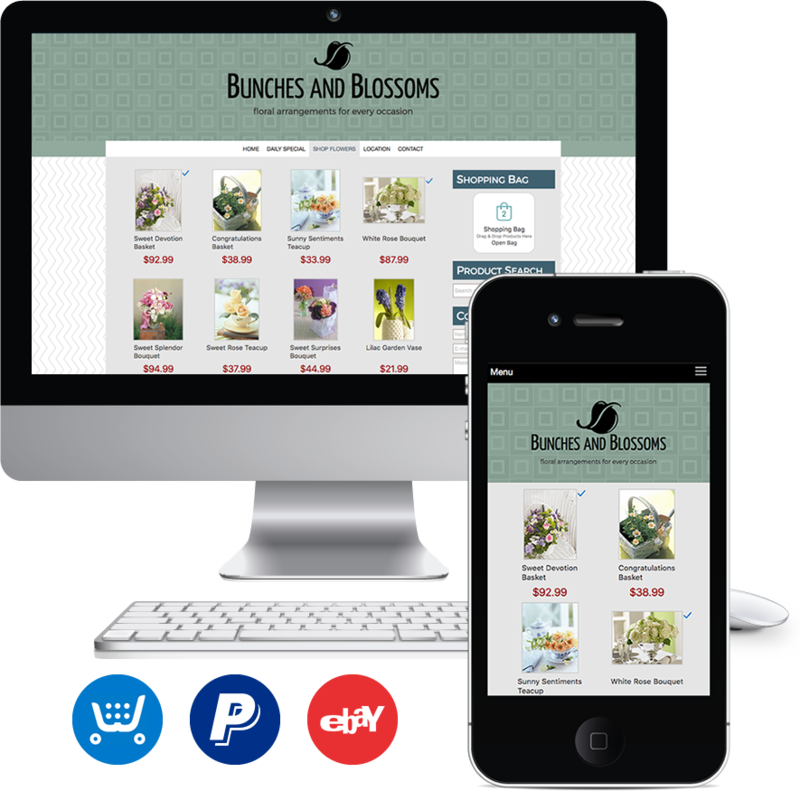 All of our themes are responsive, mobile friendly & totally customizable. We have hundreds of pre-built themes to choose from! Most people are accessing the internet from mobile devices. It is important to make sure websites look good on all devices! 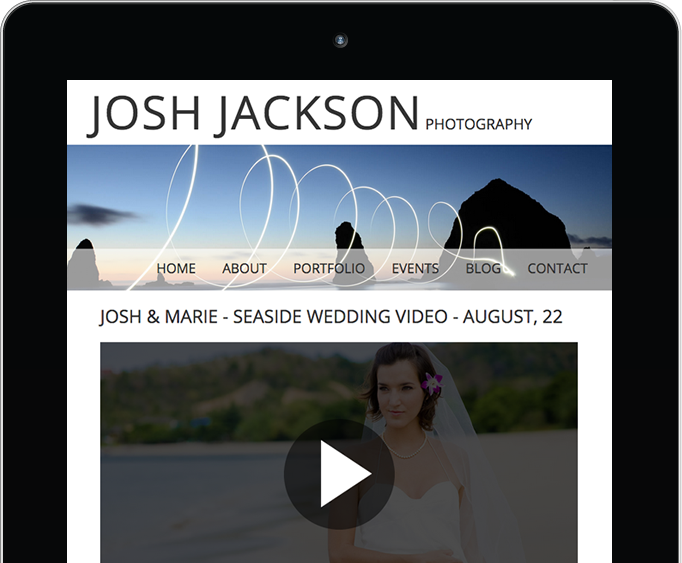 Thanks to our responsive templates all of our sites look great on mobile phones, tablets and computers. You don’t need to change or adjust anything - we do it automatically for you! Make your presence on the website unique with a Custom Domain Name. 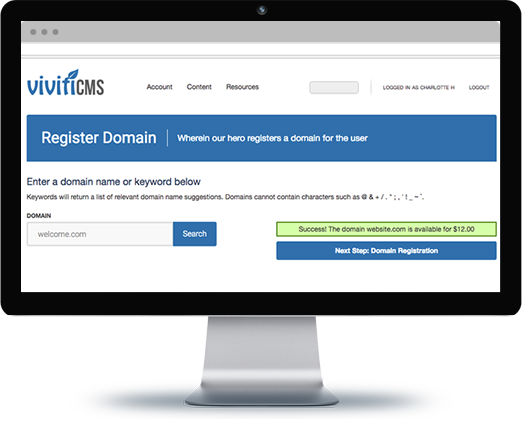 We make it easy to register and add a domain name to your account. Already have a domain name? Simply add it as an external domain and follow the provided instructions. Make websites stand out! 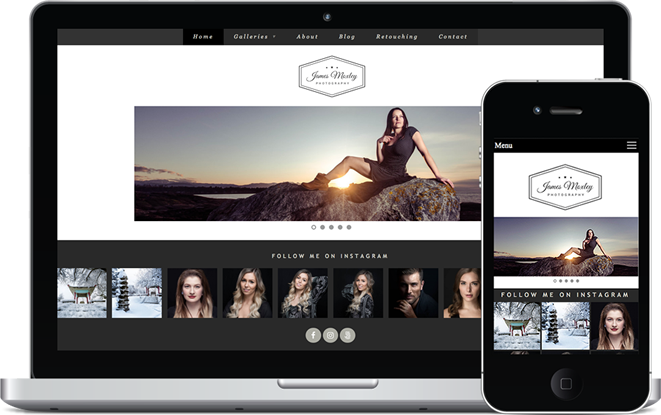 Adding beautiful photos to websites has never been easier. We have all different Photo Gallery and Slideshow options to choose from. 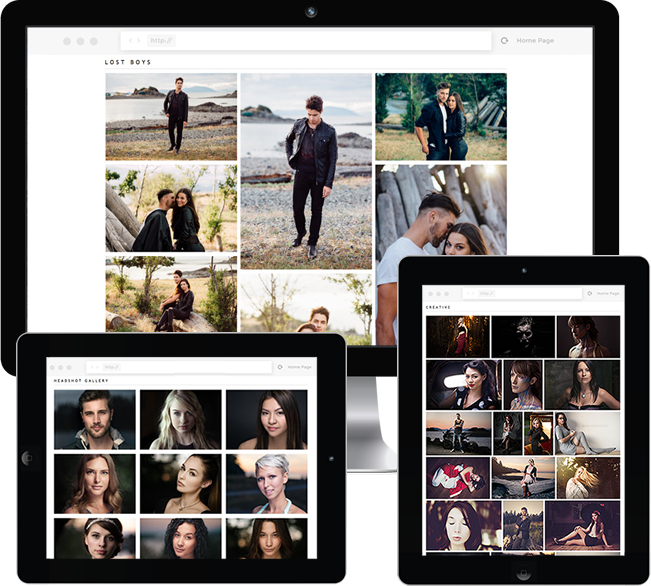 Upload custom photos or choose from our huge Stock Photo Library. We provide different options to meet all online selling needs. We feature a complete, powerful shopping cart system. It is easy to set up and gives you complete control - add products, details, settings and track orders. We also feature PayPal and eBay listings as other online selling options. 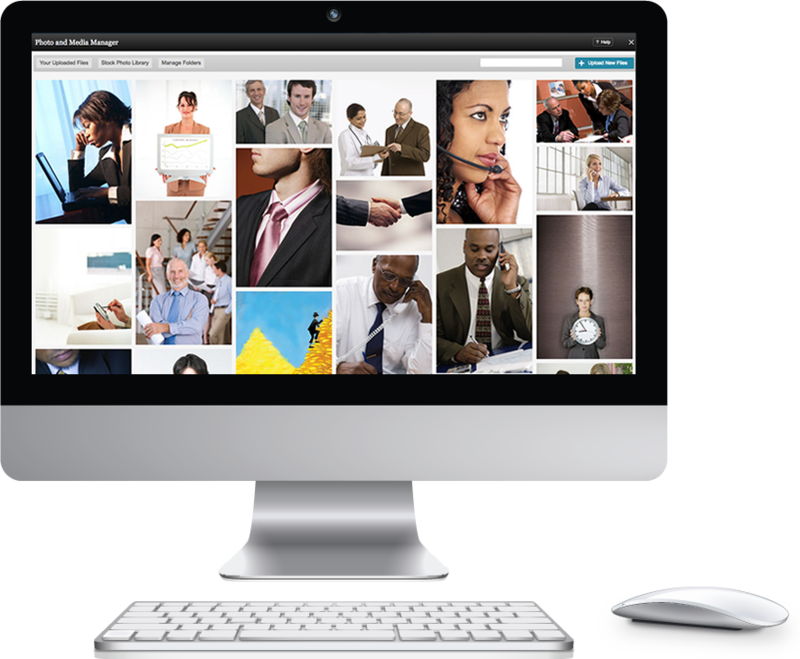 We have a huge collection of professional Stock Photos available for royalty free use on websites built on our system. Websites can also be customized with our collection of web safe fonts. They are easy to select and change using our Font Editor. Creating custom themes is simple. No coding required. Just HTML and CSS! Edit one of ours or start from scratch. Our powerful blogging system gives full control over formatting, editing, managing comments and scheduling. Easily add photos and photos. Blogging is an excellent way to engage with users and improve search engine rankings. Captivate and engage website viewers with video. Videos can be uploaded into directly our HTML5 video player or you can share videos using YouTube, Vimeo or Flash. Our system features built in statistics to monitor where website traffic is coming from, daily visitors, unique visitors and more. 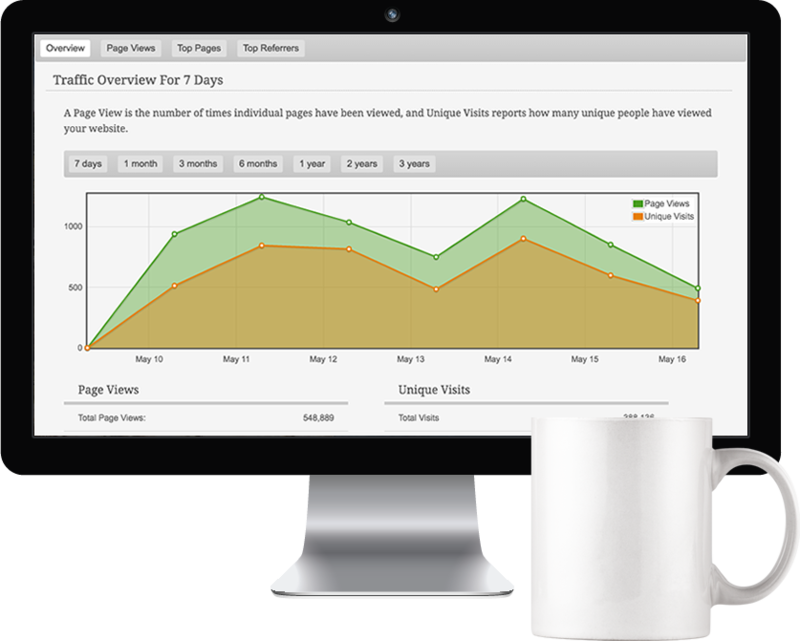 Google Analytics can also easily be added to websites for an additional method of tracking website statistics. Our system features multiple different Social Media components. 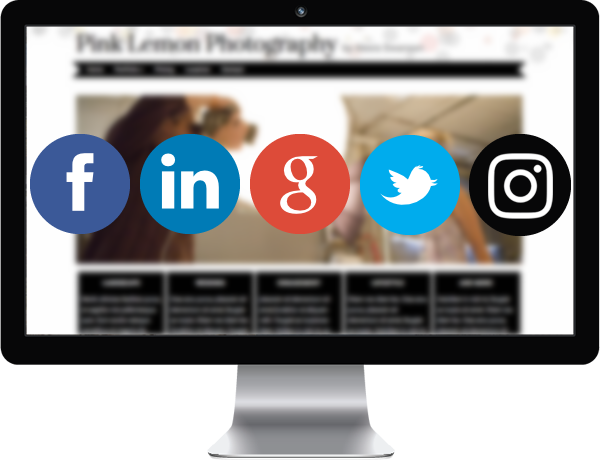 Add Facebook, Twitter and Instagram directly to your site. Add Social Sharing Icons to easily share your website across multiple platforms. Beautiful Social Media Buttons can also be created with our Social Media Links component. SEO (Search Engine Optimization) is so important to ensure that your customers are finding you in the search engines. You can follow our SEO Checklist to make sure you have completed all the important tasks for your website. 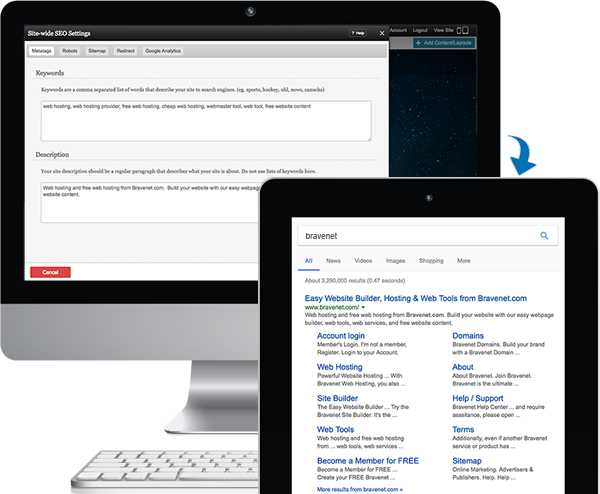 Our builder gives you control over URLS, titles, keywords, metatags, descriptions and more.